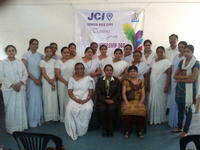 I got an opportunity to conduct training program on Women Empowerment for ladies of JCI Umred coal Power. My audience comprised of housewives. Some of them were in the age group of 30 – 40 and rest were above 50 years. After the inaugural session they were giving me a blank look and were wondering what I will be training them about. I knew it would be a tough job to motivate them and communicate my thoughts to them but i took the challenge and started the training. I got an opportunity to conduct training program at JCI Durg/ Bhilai on “Be Better”. I was appointed as the Pilot Faculty for MCID (Multi Chapter ID Program) along with two co-pilots Sandeep ji and Ekta ji. The program concentrated on Managing Self, Family, Profession and Social life of a person. The program was on how to better ourselves in each aspect of our life by upgrading our skills everyday or in other terms getting better each day. I conducted training program at Government Hospital Bhandara on Professional Etiquette and Communication Skills for Nurses under the banner of JCI Nagpur Lady Legend on 27th July 2012. I started the program with What is Etiquette ? Personal Grooming and qualities to make yourself presentable. All of them listened with curiosity and learnt that their dress code was meant for a purpose. Anything which we wear speaks about ourselves. I conducted training program at Gurunanak School, Nagpur on 18th July 2012 for 9th standard students on Leadership. I entered the hall and there was pin drop silence. 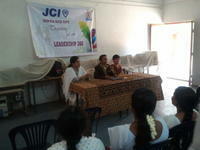 Mahek, President JCI Women's World introduced me to the students. After a formal introduction i started up with the training. The students were very eager to know as to what i will teach them on leadership. I asked them to assess themselves and do self analysis and then choose a future path of their career. Leadership is a journey, not an end or a destination. A leader works hard and carves a path for others to follow. I conducted training program at District Bar Association Jamshedpur on 28th June 2012 for Lawyers on “ Leadership and Communication Skills”. Secretary of Bar Association Lala Ajit Kumar Ambasta granted me permission to conduct training program in his association on 28th June. I started the training program with the Question who is a Leader, qualities of a leader, Role of Communication in being a good leader and Leadership Traps. It was the first time i was conducting training program for Lawyers but i had a great learning experience from the training program. I conducted training program at Jamshedpur Cooperative Law College on 26th June 2012 for students of LLB Part I. The Principal of the College Jitendra Kumar and retired Dean Faculty of Law Prof T.P. Mandal were present in the program along with the students. The strength of students was good. I conducted training program for JCI Gondia Rice city on 5th May 2012. 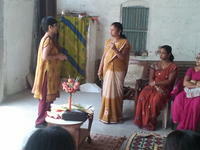 It was a training program for teachers from 5th to 10th standard on leadership. Time allotted for training was 3 hours. I traveled by car and reached Srimati saraswati Bai Mahila Vidyalaya Gondia school at around 9:30 AM in the morning. The program started after the opening ceremony. My audience comprised of 16 subject teachers. 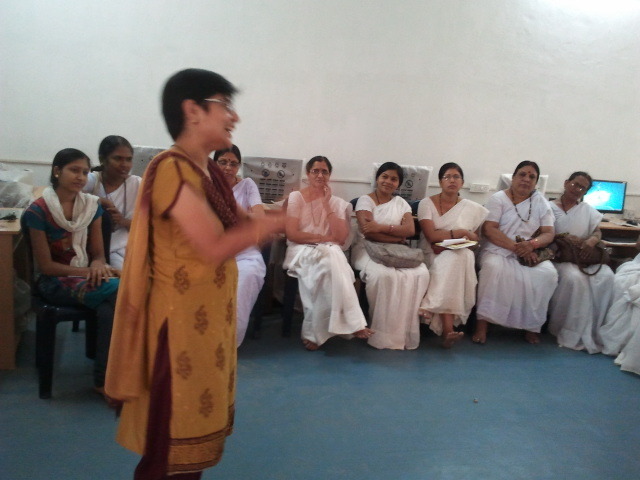 I conducted training program on Parenting for mothers of summer camp students on 29th April 2012 i.e Sunday. It was one and a half hour session. The stage was set and participants were seated. I could roll my eyes and see people older than me in the group but i was really touched by their enthusiasm to come and participate in the session.